The Minister of State for External Affairs of India while on official visit to Bulgaria met also Frends of India Club members, the lecturers and students from Indology Department of Sofia University and visited “Indira Gandi” School. H.E. 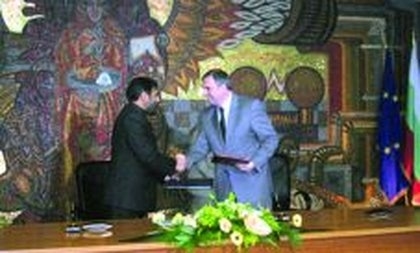 Anand Sharma, Minister of State of External Affairs of India, was on official visit to Bulgaria between June 15th and 17th 2006 at the invitation of the Deputy Prime Minister and Minister for Foreign Affairs of Bulgaria, H.E. Ivailo Kalfin. The high guest from India visited also the Chairman of the National Assembley of Bulgaria, H.E. Georgi Pirinski and the Prime Minister H.E.Sergey Stanishev; met the Minister of Economy and Energetics Roumen Ovcharov and the Chairwoman of the Group for Friendship with India at the National Assembley Mrs. Grozdilova. Minister Sharma and Minister Kalfin had separate meeting and plenary talks and agreed on a number of important issues in our economic and political bilateral relations. Bulgaria confirmed its support of the candidature of India for Permanent seat in the UN Security Council and India thanked for the support. 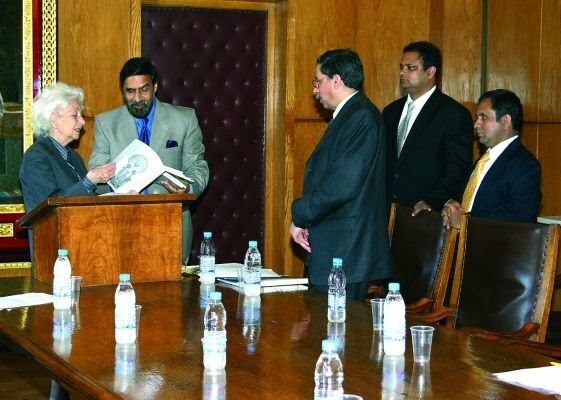 During his sojourn in Bulgaria Minister Anand Sharma and his delegation visited “Indira Gandi” school in Sofia and at the University of Sofia met with representatives of “Friends of India” Club and lecturers and students from the Indology Chair of the University of Sofia and had a warm welcome.